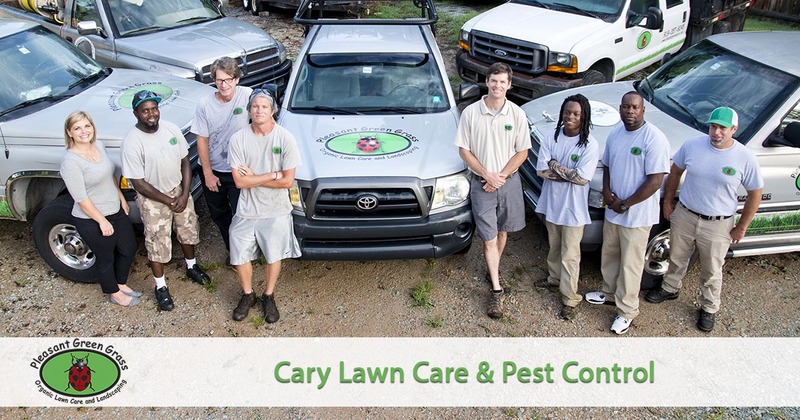 If you are looking for effective lawn care and pest control services in the Cary, NC area that are safe for your family and pets, then look no further. Pleasant Green Grass offers organic lawn fertilization and pest control services that are safe for your family and pets. Residents of Cary, NC, know that it’s a diverse town with much to enjoy. But finding quality landscaping services may still feel challenging. Many companies offer fast service by relying on harsh chemicals. While your yard may appear healthy, it may stay sick underneath the soil. Instead, you can always trust Pleasant Green Grass to service your yards with nothing but the best in organic yard care. We provide the best in local landscape solutions that won’t poison your lawns. Call today for your best yard care services and experience the difference. No one cares about your lawns like our team! When you hire us for your yard care, we provide fast service and natural methods that achieve the best results possible. We remain dedicated to caring for your lawns without the harsh effects of landscaping products. We offer monthly care services like grass fertilization and weed control, as well as core aeration, fertilization services, and more! No one else keeps your yard looking its best all year for our team! Let us achieve better curb appeal and healthier growing without the harmful sprays. For the best in natural landscaping solutions, you can always rely on us! There are many different species of bugs flying, crawling, and skittering through your yard. How can you ensure that they’re all removed? We use 100% organic yard pest control methods that send them all away without harming the soil. When you’re concerned about the after-effects of pest control sprays, we make your service simple. Call us for all your peskiest yard pests. From spiders to mosquitos, ticks to grubs, fleas, and other common pests, we take care of them all the natural way! The organic lawn fertilization and pest control services we offer in Cary, NC are healthier, safer, and more effective than traditional chemical applications that are harmful to people, pets and the environment. Give us a call today and experience the difference in working with a company that cares as much about the safety of the products we use as we do for our customers.